Title art for the new Amazon Prime series, Bosch. For the past few years, fans and critics alike have had a lot to be thankful for when the talk about television. What was once a dreary landscape of silly sitcoms and cookie cutter cop shows has now become a medium filled with fabulous programs. Some are going so far as to call this period a Golden Age of TV. But what is it like to work in this Golden Age? Veteran writer Eric Overmyer would be a good person to ask. He has worked on shows like "St. Elsewhere" and "Hill Street Blues," but is now known for his work on such modern classics like HBO's "The Wire" and "Treme." 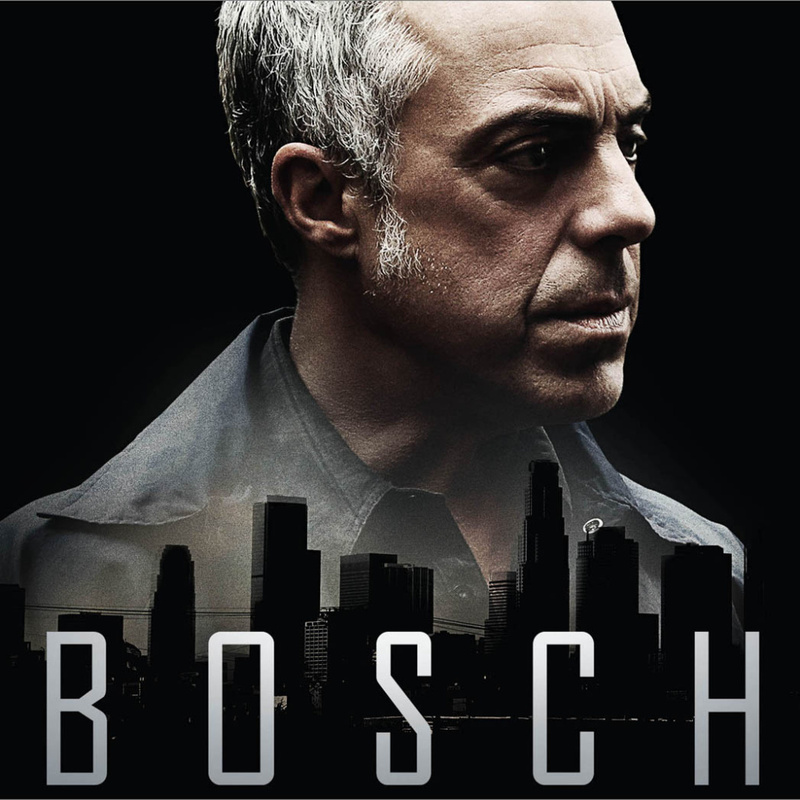 But Bosch is a bit of a departure because its not set to broadcast on network TV, or even cable, but on Amazon. Overmyer stopped by the Take Two studio to talk about the writing process and what it was like to work on TV in its first Golden Age and now. If you're interested in hearing more from Eric Overmyer, in person, he's speaking at the Los Angeles Central Library's Mark Taper Forum for their new series, The Writers Cut. Details here.